This classic novel has been read and enjoyed by millions since it was first published 138 years ago. While the story is timeless, there are elements in the story some modern readers might find to be confusing. In this edition, many of these questions will be addressed in the ninety reference notes. 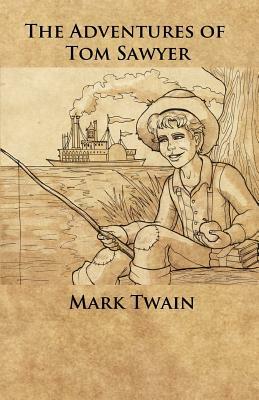 Tom Sawyer will thrill you with his escapades, with his mischievous pranks, and with his innocent charm. Discover again this slice of American historical fiction, and gain for yourself a new appreciation of the culture that was mid-nineteenth century America. This edition features classic illustrations from the nineteenth century, as well as new cover art from Syrena Seale. Samuel Langhorne Clemens, who was better known by his pen name Mark Twain, was an American author and humorist. He is known for his classic books The Adventures of Tom Sawyer and the sequel The Adventures of Huckleberry Finn. Mark Twain was born in 1835, two weeks after the closest approach of Halley's Comet to Earth. Twain grew up in the town of Hannibal, Missouri, worked as a riverboat pilot until the outbreak of the War of Secession in 1861. He briefly joined a company of Confederate volunteers, but they disbanded the company in only two weeks. Twain then headed west and worked as a miner on the Comstock Lode in Virginia City, Nevada. Eventually he made his way to San Francisco, where he worked as a journalist for a time. He traveled to Hawaii, and later to Europe. His humorous stories and anecdotes about his travels made him famous, and he made a great deal of money on his writing, but he lost most of it through bad investments. In 1907, Twain was given an honorary doctorate by Oxford University, and in 1910 he died of a heart attack one day after the closest approach of Halley's Comet to Earth.